Canon Wireless Printer Just $54.95! Down From $200! PLUS FREE Shipping! You are here: Home / Great Deals / Amazon Deals / Canon Wireless Printer Just $54.95! Down From $200! PLUS FREE Shipping! Amazon is currently offering this Canon Wireless All-In-One Printer for just $54.95 down from $199.99 PLUS FREE shipping! Looking for a home printer that delivers the ultimate in photo and document quality? 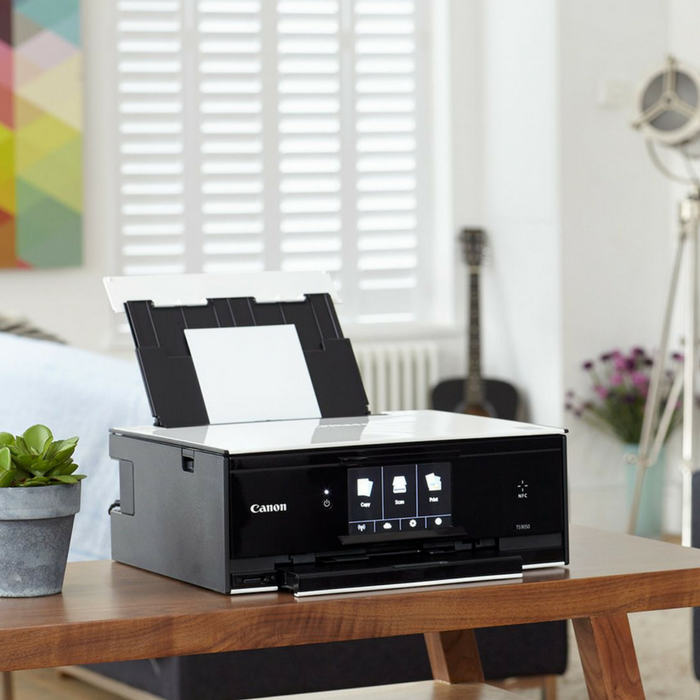 You’ll find that and so much more in the sleek, compact Canon PIXMA TS9020 Wireless Inkjet All-In-One Printer. Intuitive features like the 5.0″ touch screen and enhanced user interface, document removal reminder and auto expandable output tray make it a snap to use. Plus, a host of quality-enhancing features are built right in. It has a six-color ink system, including a dedicated gray ink tank, onboard creative filters and front-and-rear paper feeding options that even support fine art paper – so you never have to compromise on image quality. Stunning photos, razor-sharp documents, and exceptional ease of use – that’s the Canon PIXMA TS9020 Wireless Inkjet All-in-One Printer.